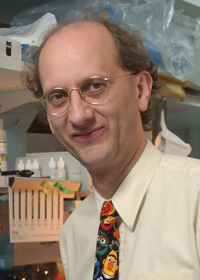 Thirteen years ago, Dr. Robert Kleta had never heard of a genome-wide association study (GWAS), let alone considered doing one. Now, Dr. Kleta and his colleagues at the University College of London regularly publish articles in The New England Journal of Medicine and other journals on the genetics of rare diseases and their associated phenotypes. States Kleta, "For rare diseases, if it's something of interest, you can get 100-200 samples. But to find 1,000 or more, that's difficult. The first GWAS paper published in Science used less than 100 samples, and they had significant findings. People forget that. The community has really, I think, invested in the wrong direction initially with GWAS." Dr. Kleta, born in the United States of America, grew up in Germany and began his medical career in pediatrics followed by a research stint in physiology. Pediatrics had his heart for some time, but after attending many conferences and repeatedly hearing about PCRs, Kleta became intrigued by genetics. He soon thereafter accepted a fellowship in Clinical Biochemical Genetics at the US National Institute of Health (NIH) in the National Human Genome Research Institute (NHGRI). There, he became trained and board certified in genetics. Today, Dr. Kleta is a clinical scientist at the University College London's Centre for Nephrology at the Royal Free Hospital. The group focuses on rare kidney diseases and is made up of both clinicians and scientists and some that wear both hats, like Kleta. With a wide range of experience and expertise, from physiology and genetics, to nephrology and pediatrics, the team is able to distinguish the unusual/unexplained and then concentrate on determining the underlying genetic components. For this, Kleta finds GWAS to be the ideal approach as there can be significant findings with only a few hundred samples. When the team embarked on its first project in 2010, they had to decide on a means to analyze their data. While Kleta and other team members were trained in genetics and knew how to conduct a GWAS, they had not actually done one. Being a small group, it was important to the team that they were able to perform the analysis independently rather than sending the data elsewhere and waiting for the results. They considered using open-source software, but knew that would require troubleshooting, being on the look-out for bugs, and dealing with data capability issues. The team wanted a tool that provided all of the functionality they needed while being extremely reliable and robust. Dr. Kleta knew of SNP & Variation Suite (SVS) from his time while still working at the NIH, and his newly-formed London team decided to evaluate the software. Kleta found that SVS could run all of the analyses that the team needed to complete the study as well as manipulate data quickly. He was even more impressed with how easy SVS was for him to navigate. "I am a geneticist and a pediatrician, but at the end of the day, I'm a clinical scientist. SVS is so good that I, myself, without being a computer scientist, could upload the data and actually do a GWAS myself." Given this project was their first, the team inevitably had questions. Golden Helix was very responsive. Says Kleta: "Whatever we came up with, the support team either knew immediately or asked an in-house expert and had an answer in no time." The lab was equally impressed with SVS and, in Kleta's opinion, purchasing it was really a business decision: "It's smart to invest in certain things. We are not big enough or smart enough to invent everything ourselves or to do all the bug fixes; that would be an incredible waste of time." Kleta and his group were able to complete their first study in a few months with SVS, which was their fastest paper ever submitted and accepted. "Risk HLA-DQA1 and PLA2R1 Alleles in Idiopathic Membranous Nephropathy"1 was published in the February 3, 2011 edition of The New England Journal of Medicine using samples from Great Britain which had been collected over a 10-year span. The DNA hadn't been used to date, as there was the belief that more samples were needed to do a GWAS. Kleta decided that the data was, in fact, valuable and the project got under way. To independently assess any SNPs associated with idiopathic membranous nephropathy, Kleta and his team used three different sets of data?75 French, 146 Dutch, and 335 British patients with ethnically matched control subjects. This unique approach showed that even with few samples, a GWAS can unveil the genetics of rare disease. Kleta's investment paid off and he and his team are now a part of several major grants and have secured funding for the next five years. The group is currently working on more studies on kidney function with an aim of again publishing in the distinguished New England Journal of Medicine.